On March 16, people from across the country gathered on Opaskwayak Cree Nation (OCN) in northern Manitoba to pay their final respects to Francis Flett, a man who had dedicated much of his life to improving the lives of First Nation people from across the country. In the early 1990s, Flett was elected chief of his home community of OCN and was re-elected to the position three times. During his time as chief, Flett accomplished many things that benefited both his own community and other First Nation communities, across Manitoba and the country. As OCN chief, Flett negotiated the first-ever gaming agreement for a First Nation in Canada. The agreement was signed in 1990 and established The Pas Indian Band Gaming Commission, which would become the Opaskwayak Cree Nation Gaming Commission, allowing the First Nation to have direct control of licensed gambling on reserve. Two years later, the OCN also became the first First Nation in the country to sign an agreement for the licensing of video lottery terminals on reserve. Flett played a lead role in negotiating the First Nations Land Management Agreement, signed in 1996 between the federal government and 14 First Nations from across the country, including OCN. Under the agreement, First Nations have the ability to opt out of the sections of the Indian Act dealing with land administration, choosing instead to establish their own systems for management of lands and resources. In 2002, the initiative was opened up, allowing other First Nations from across the country to gain more control over management of their lands. Flett was also a key player in the negotiation of the Treaty Land Entitlement agreement in Manitoba, signed at OCN in 1997, under which 20 Manitoba First Nations received compensation for the land they were entitled to under treaty but did not receive. On the economic development front, he helped to develop the Kikiwak Inn. Opened in 1996, the 60-room inn was the only three-and-a-half star Canada Select hotel in Northern Manitoba. Flett also wanted to provide opportunities for northern youth, so he worked to bring the OCN Blizzards Junior A hockey team to the community in 1996. Over the years, a number of young players have been given an opportunity to develop their skills on the ice in OCN thanks to the team, including Jordin Tootoo who would play for the Nashville Predators, the Detroit Red Wings, and the New Jersey Devils in the NHL. Flett also worked to help build better relations between Opaskwayak Cree Nation and the nearby community of The Pas. Flett served two terms as grand chief of the Manitoba Keewatinowi Okimakanak Inc. (MKO), which represents 26 First Nation communities in northern Manitoba. As grand chief, Flett signed an agreement with the provincial and federal governments that allowed member First Nations to develop their own police forces or enter into an agreement with the RCMP for police services. He also worked to negotiate a memorandum of understanding between the Manitoba government, the Assembly of Manitoba Chiefs and the MKO that paves the way for First Nation involvement in establishment and management of protected areas in the province. He helped to develop a child welfare agreement that gave Manitoba First Nations jurisdiction over the care of their children, regardless of where in the province they lived. The specific agreement dealing with the MKO member communities was signed in July 2000, and paved the way for First Nation agencies in northern Manitoba to deliver services under the Child and Family Services Act, as well as adoption services under the Adoption Act. Similar agreements were also signed between the province and southern First Nations in the province, as well as with the Manitoba Métis Federation. 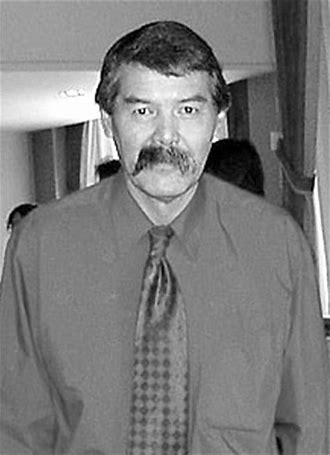 From 2003 until 2005, Flett represented all of Manitoba's First Nations on the national stage as Assembly of First Nations regional chief for Manitoba. It has been said that Flett was a great leader because he was a great man. If anyone had a problem or concern, Flett would take time to listen to what they had to say. He treated everyone equally, with respect and compassion, regardless of position or social status. And no problem was too small, or too large, for Flett to take on. He had the ability to laugh, and make others laugh, which could help diffuse even the most tense situation. Despite his many accomplishments, Flett tended to shun the limelight, never seeking recognition for the work he did. After he spent two years trying to get the federal government to the table to negotiate rights of the Dene in northern Manitoba, the Dene chiefs invited him to the signing ceremony so he could be recognized for his efforts. Flett declined, sending his vice-chief in his stead. He developed a reputation as a person who would take on a fight and not give up until the battle was won, and as a leader who never lost sight of who he was fighting those battles for. His unflinching determination, and the daunting workload he took on for himself despite the fact that he had diabetes, meant people often drew comparisons between Flett and and one of his ancestors, Chief Big Bear, a proud and steadfast leader who was also dedicated to improving the lot of his people. Flett dedicated himself to many causes throughout his political career, speaking out on behalf of the people he represented and voicing his opposition to government initiatives like federal firearm legislation and the now defunct plan to bring in a national consent form for non-insured health benefit clients. But there were two specific areas that were always on his agenda, fighting to change Bill C-31, and working to address the diabetes epidemic within the First Nations population. Francis Flett worked hard to make changes to Bill C-31 so that the decision as to who is and isn't a First Nations citizen isn't made in Ottawa and to ensure future generations didn’t lose their treaty status. He envisioned creation of centres of excellence for diabetes treatment and are located—one in northern Manitoba and one in the south—where First Nations people could go to learn how to prevent the onset of diabetes or manage diabetes if they've already developed the disease. In January 2005, the Assembly of Manitoba Chiefs took a large step toward having that vision realized, passing a resolution during a special chiefs’ assembly on health and housing to support the creation of the centres. Flett left behind his work at the national level in 2005 and was re-elected as OCN chief in September of that year. He was hospitalized in Winnipeg in early March and died on March 9, 2006 due to complications from diabetes. On news of his death, wishes of condolence came from Native and non-Native organizations and leaders from across the country, recognizing Flett's work on behalf of First Nations people. Funeral services were held on March 16 at the Gordon Lathlin Memorial Centre on OCN with close to 2,000 people coming out to say goodbye to a man who had given so much of himself to the people that he served. Flett was laid to rest in Emmanuel cemetery in his home community.